Have you uploaded files in A360? Want to get properties/metadata from these files? This app will help you in getting the data. 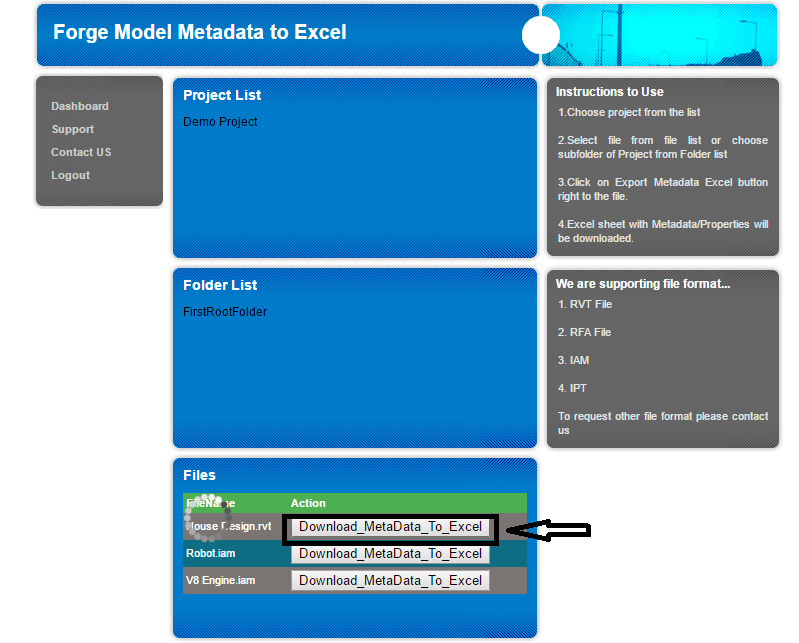 A model meta data, or we can say properties, is very important for architects or engineers. The app will export properties to an easy readable Excel file. The app can produce an Excel sheet with well-arranged part properties and its key value pair. This application extracts design file properties or metadata and creates an Excel sheet. 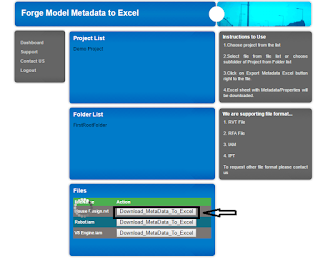 The Excel sheet will be automatically downloaded with respect to the selected design file. The Excel sheet will have the metadata arranged in rows and columns format. 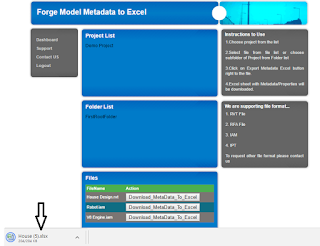 Autodesk Forge Model Metadata to Excel is brought to you by CadCamCustomization. It's free. This app is compatible with Revit 2017, 2016, 2015, and 2014.
the download link is not working ! Dominique: I'm sorry but you'll need to contact the Autodesk App Store folks about this issue.